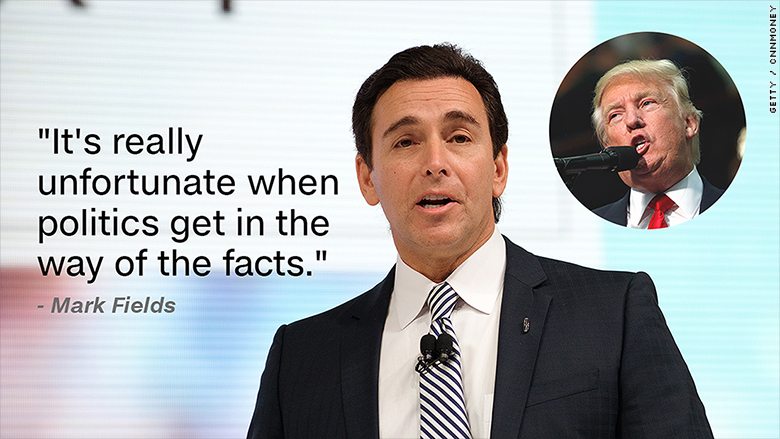 Ford CEO Mark Fields says GOP presidential nominee Donald Trump is completely wrong when he says that Ford plans to move its U.S. operations to Mexico, or even shift future investment outside the country. "It's really unfortunate when politics get in the way of the facts," he said Thursday in an exclusive interview with CNN's Poppy Harlow. Asked if Ford would cut any U.S. jobs as part of its plans to build a new plant in Mexico, he responded; "Absolutely not. Zero. Not one job will be lost. Most of our investment is here in the US. And that's the way it will continue to be." Earlier Thursday, Trump said in an interview on Fox News that Ford planned to "fire all their employees in the United States and...move to Mexico." He added that Ford would have to pay a 35% tax on any car that comes back to the U.S. if he becomes president. "And you know what's gonna happen, they're never going to leave." 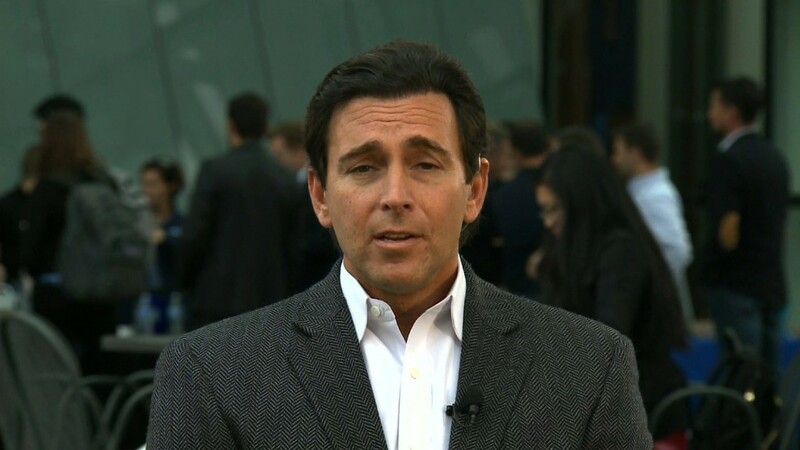 A For (F)spokeswoman said that Michigan factory workers who now build the cars that are moving to Mexico will start building other Ford models instead. Ford has 85,000 U.S. workers, up 50% over the last five years. It currently employs 8,800 people in Mexico, and the new plant will create 2,800 additional jobs there. Fields said that Ford's labor costs in Mexico are roughly 40% less than than they are at U.S. plants, which are all unionized. "That's what it takes to compete in that [small car] segment," he said. "American [car buyers] are looking for good value," he said. Despite Trump's attacks on Ford, Fields declined to say who he would vote for in the presidential election. But he did say that he's not worried about what a Trump win could mean for Ford. "Whoever is in the White House, we work for them productively," he said.